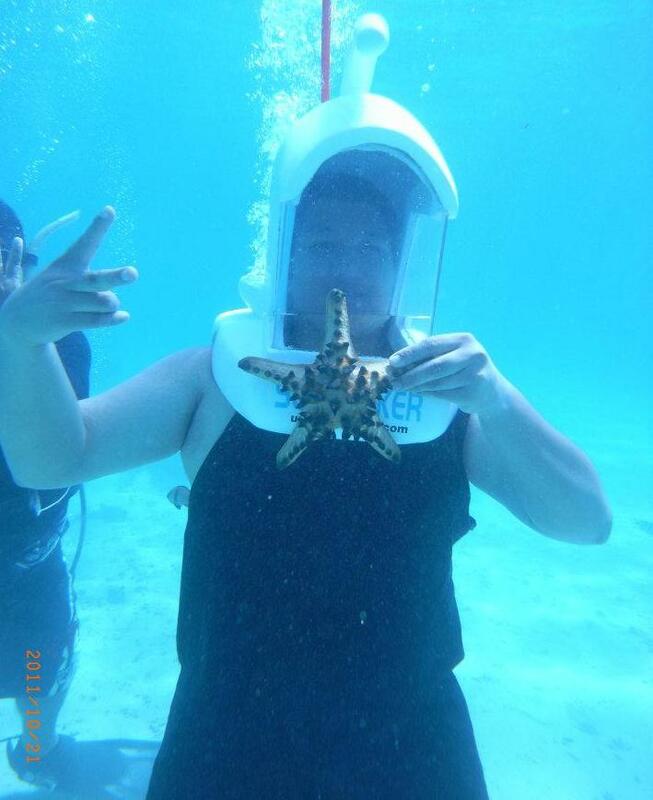 Underwater Adventure (Seawalk and Helmet Dive), Panglao, Bohol – i am uniquely and wonderfully made. 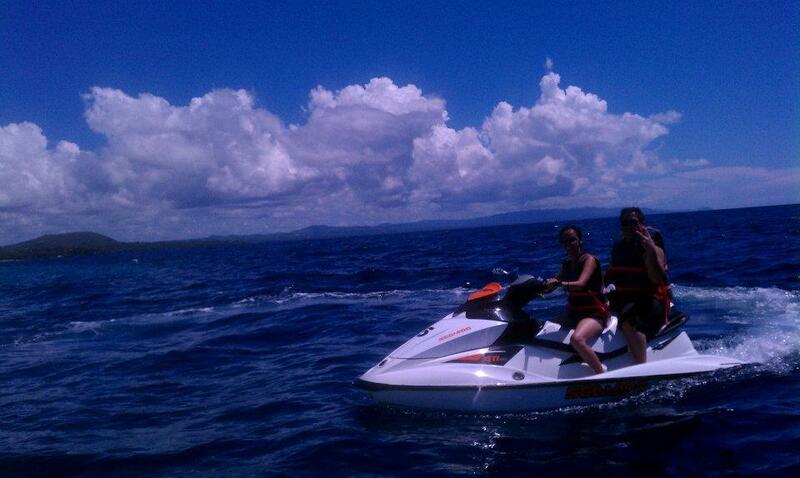 When my hubby -then fiance- learned I did suislide with friends in Danao, Bohol, he wanted to faint. 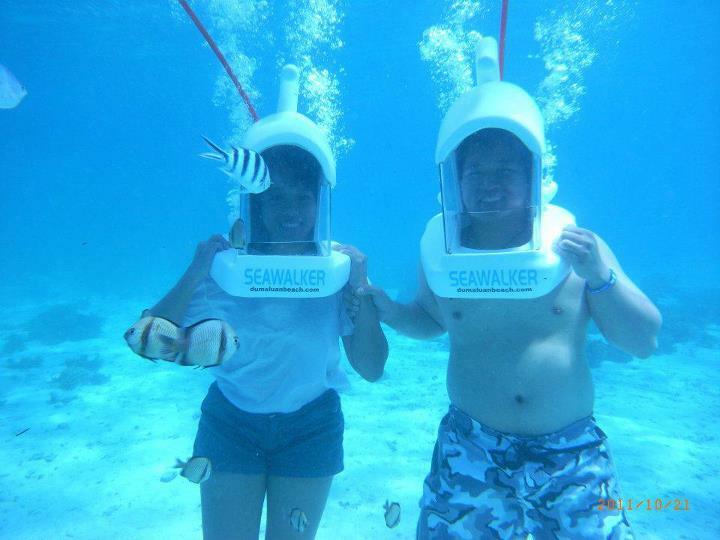 And when he knew I did underwater adventure, seawalk, I think I gave him a heart attack. There is nothing, however, to worry about this aqua sport. It is completely safe and fully guided. To my delight, swimming skills is not necessary for this seawalk adventure. Yey! A closed fiber helmet is simply used with a compressor attached to the air source above water for breathing. Thirst for fun, nonetheless, is a must! 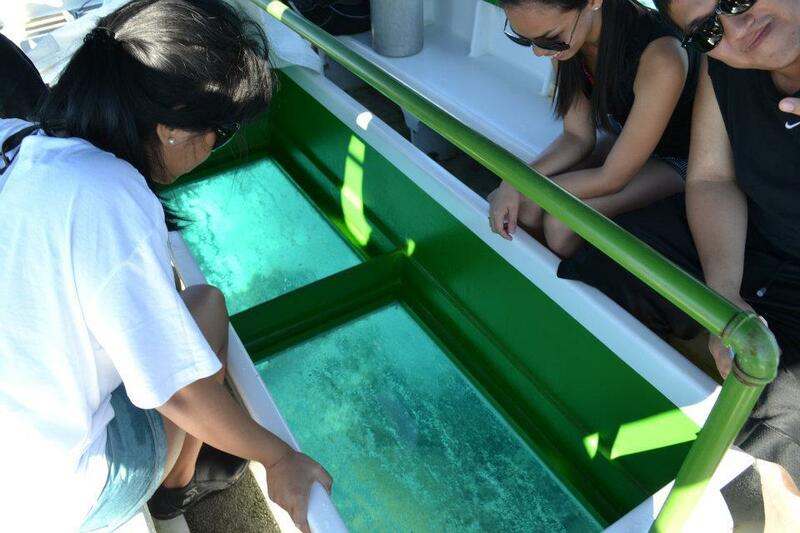 A short glass bottom boat ride of Dumaluan Beach Resort Aquasport took us to the location, allowing us to observe the underwater from within the boat. It was already fun watching the aqua life through this glass but I was itching to play with them. camera click! – I personally think this is of most importance, PHOTOS! And the dive starts! Our guide fully assisted each of us with gearing up our helmets as we go down one by one. 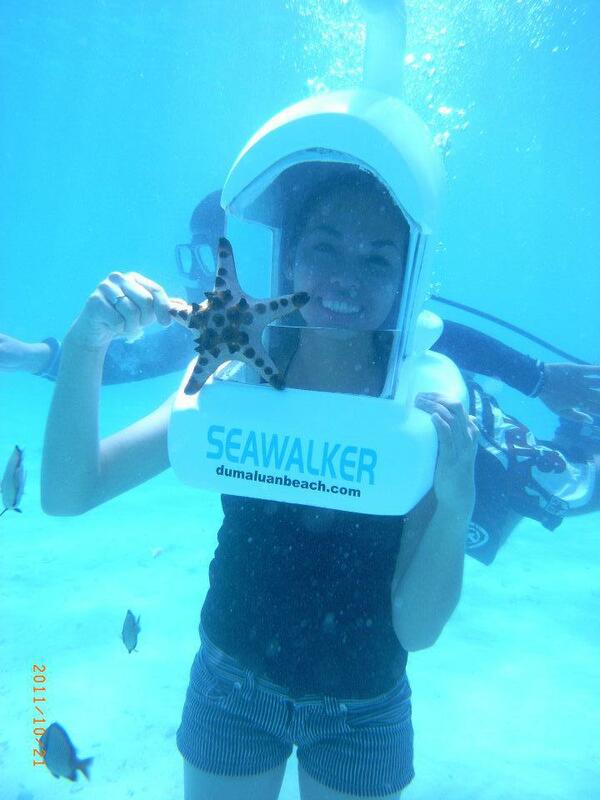 The helmet by the way weighs about 35kg to allow you to walk underwater. It is only worn when you are starting to descend so you cant really feel the weight. A ladder from the pontoon was used in going underwater with full assistance. The instructor will never leave you for the entire dive. Ear pressure starts to build as you descend deeper so you must equalize by forcing an exhalation out of the closed nostrils. Then relax and enjoy. Slices of bread were also handed out by the instructor so we can feed the fish. We ascended and we can’t stop marveling at how incredible the underwater tour was as we headed back to the resort. 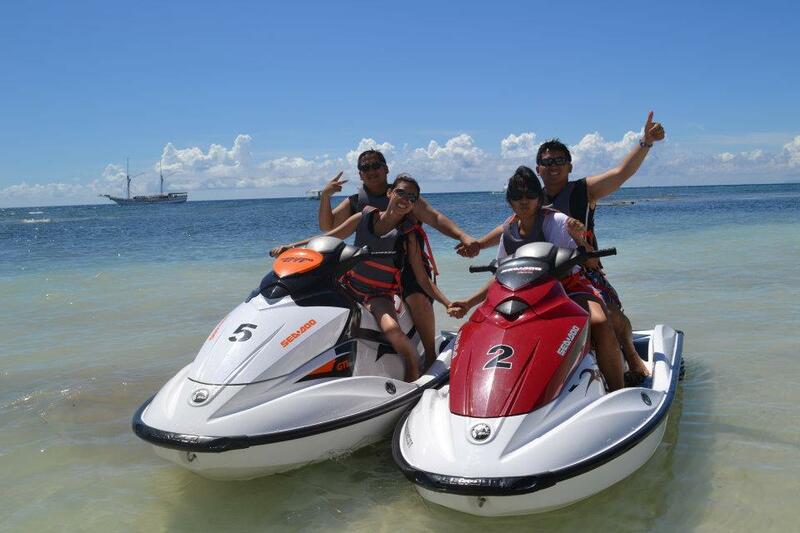 We could not get over the excitement so we decided to play with jet skis. 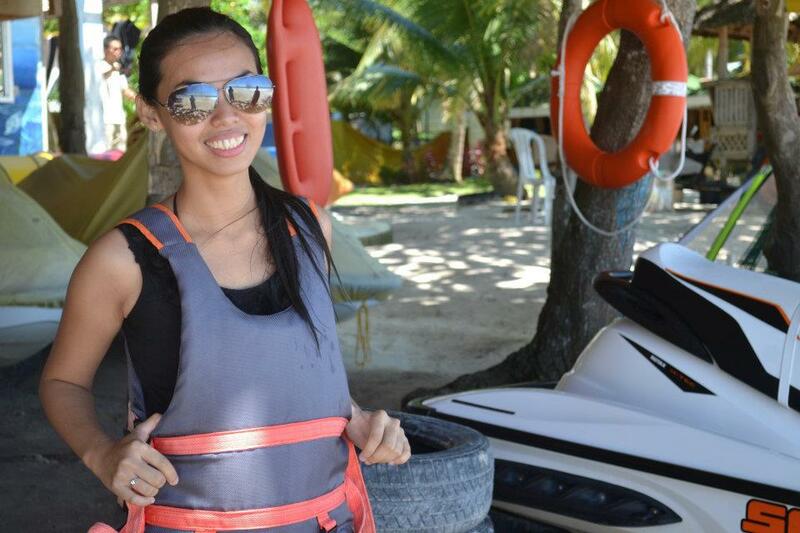 It was my first time to do jet skiing but Carlo did a good job at boosting my confidence. 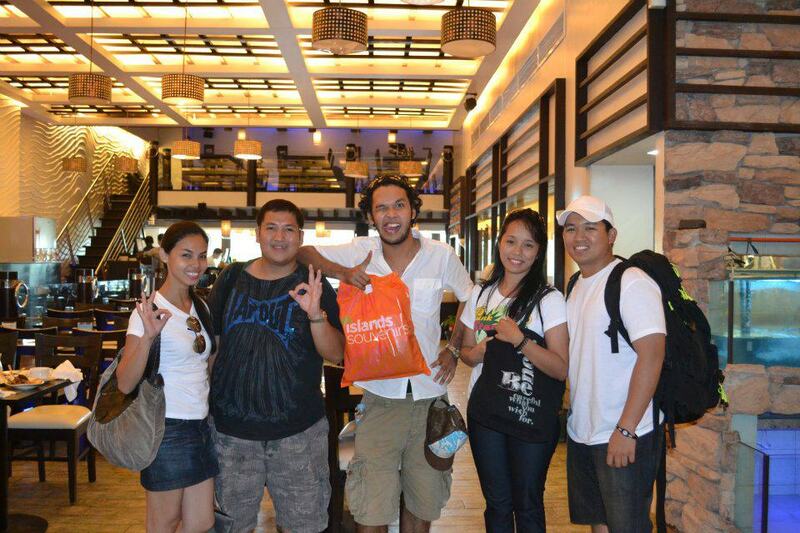 Before we left the beautiful island of Bohol, we met Sonnen Labastilla for lunch. 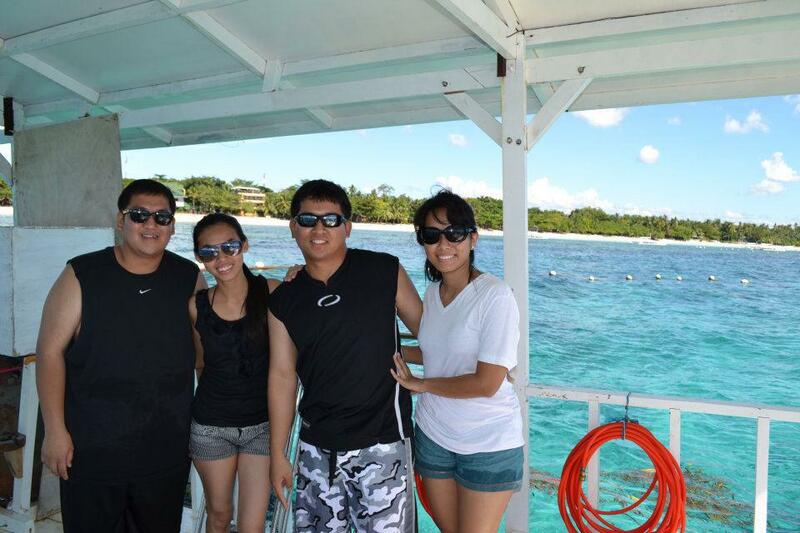 And we took a ferry ride back to Cebu that afternoon with huge smiles (and sunburn) on our faces and beautiful memories to cherish a lifetime. I will have to make sure the hubby does this, he might be skeptical at first with the safety of this adventure but maybe he’ll give in. 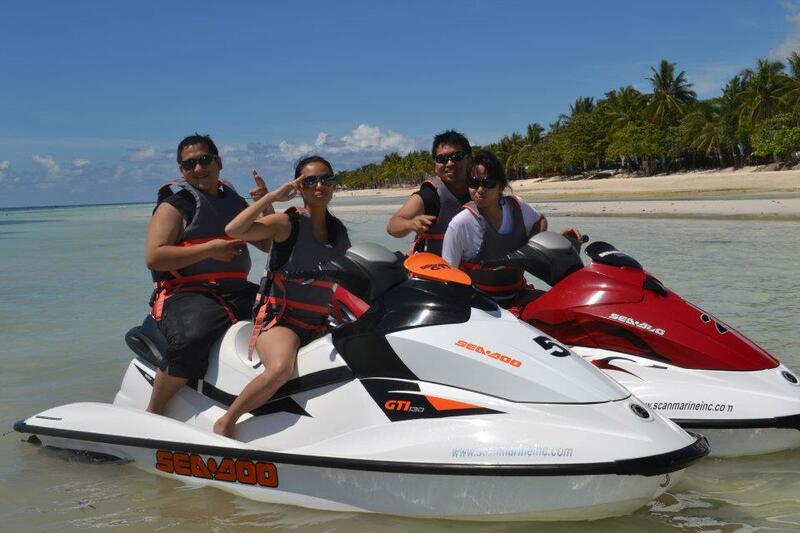 We hail from Bohol btw… glad to discover new fun activities out there. yay! 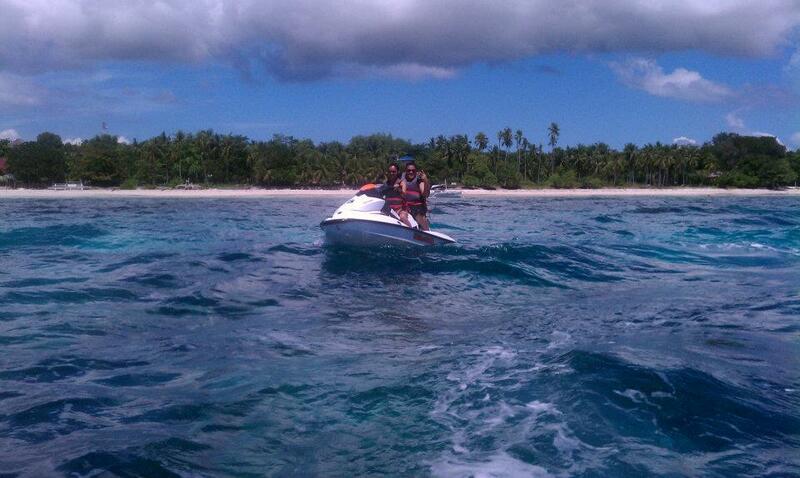 i also did sea trekking last month in Shangri La! im gonna post something about it when i have the time. It’s been quite a while since the last time i have really updated my blog. 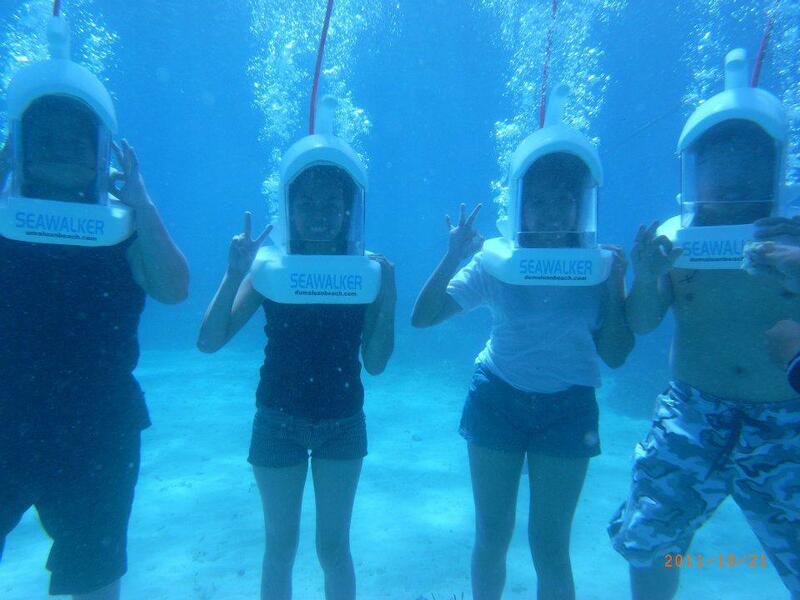 Sea trek is really fun and amazing down the water! my friends laughed when I said i love it better because i am starting to get lazy to snorkel and sea walking is a perfect alternative haha. 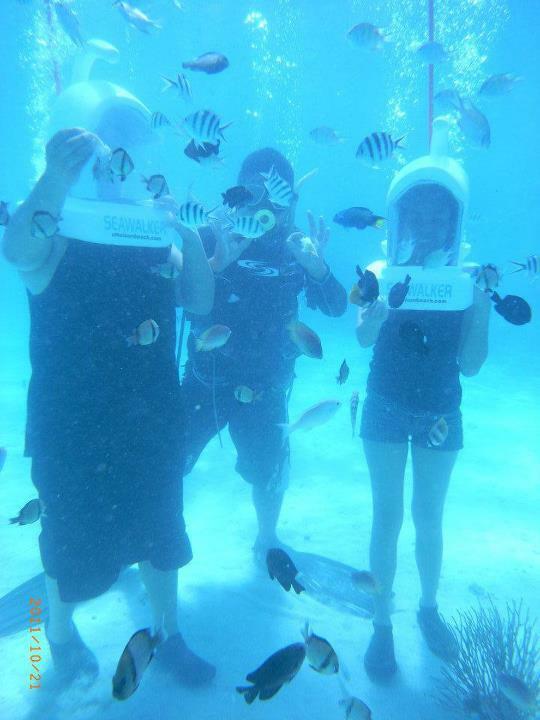 Do you have to be checked in Dumaluan beach resort to do the helmet diving? Or is this an activity that’s available on the island? 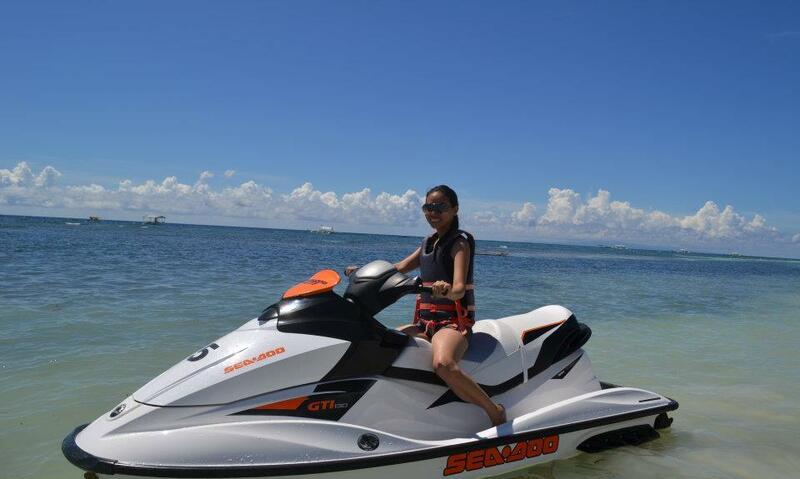 We’ve tried it in Boracay, but my sister hasnt and we need to find out if she can try it in Panglao? I believe you do not need to be checked in. The helmet diving company is independent from the resorts. Hi Kaylay! 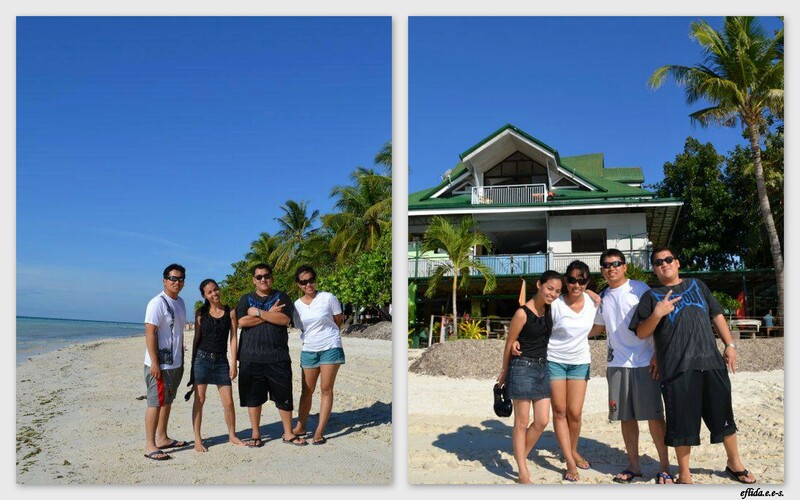 No, you do not have to be a guest at Dumaluan Beach Resort to avail of this outdoor service. You got to try this experience and I guarantee you will have wonderful memories you can carry for a lifetime. Your water world looks very exciting but I am a land lubber, the closest I get too much water is drinking it.